Grande will share their journey to implement a safety observation program. 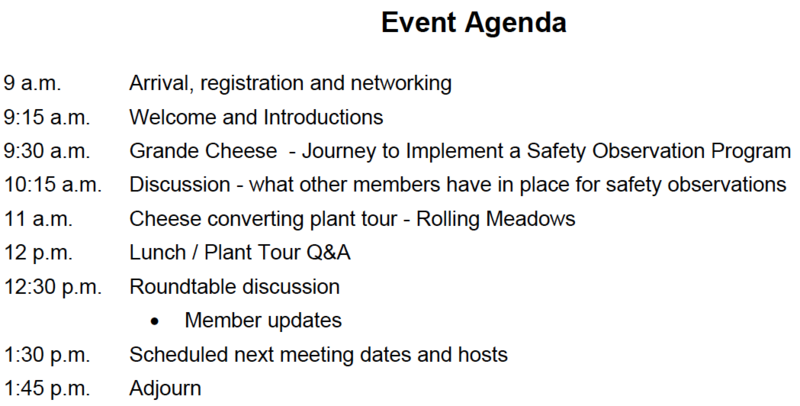 Members will be asked to share ideas and their experience with implementing safety observations programs. Future meeting dates and hosts will be determined for the next 12 months.